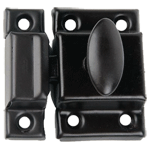 These replacement hinges are exact replicas for many Sellers brand cabinets. 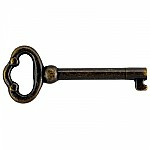 This is the hinge that was used on the inside upper doors of many Sellers. 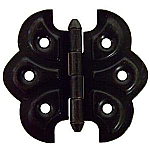 Overall Size: 2" Wide x 1-1/2" High fully open. Short Leaf: 3/8" x 1-1/2"
Long Leaf: 1-5/8" x 1-1/2"
This item is $8.25 when your order exceeds $250 before shipping in qualifying items.